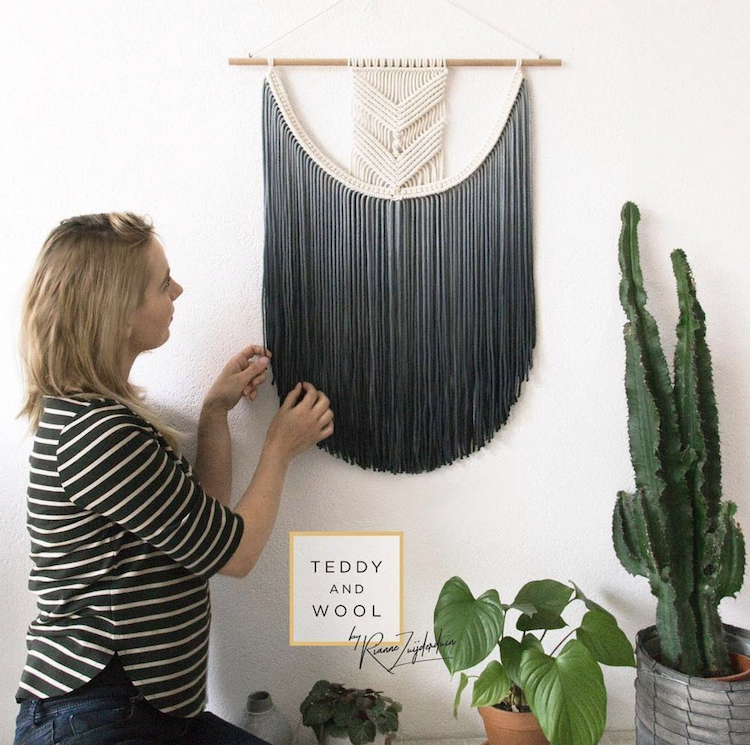 Blending a “passion for interior design and love for natural fibers,” artist Rianne Zuijderduin founded Teddy and Wool in 2016. 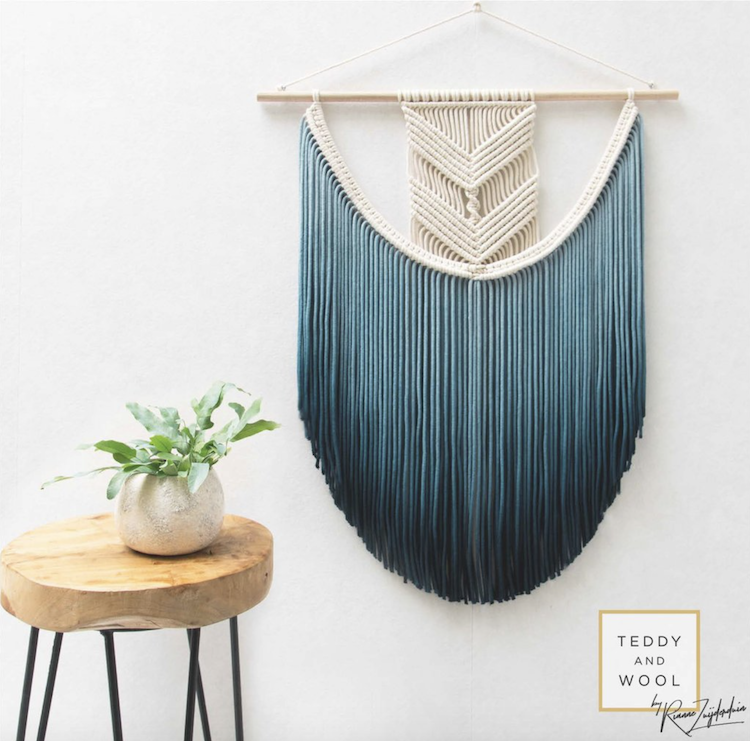 Specializing in modern macrame, Teddy and Wool offers all sorts of crafty creations, including EVA, a particularly eye-catching wall hanging. The EVA wall hanging offers a refreshing reinterpretation of the classic craft. Characterized by its geometric design and dip-dyed cotton cords, the handmade piece has come to be known as Zuijderduin’s “signature wall hanging,” making this crowd-pleaser an ideal centerpiece for any space. You can find this popular wall hanging in the My Modern Met Store, where it’s available in two different color palettes: gray turquoise and ash gray. In both cases, the sleek cords have been dyed as a gradient, giving the fringed decor a contemporary feel. On top of tones, you can select scale of your piece: small (12″ x 16.5″) or medium (20″ x 25″). 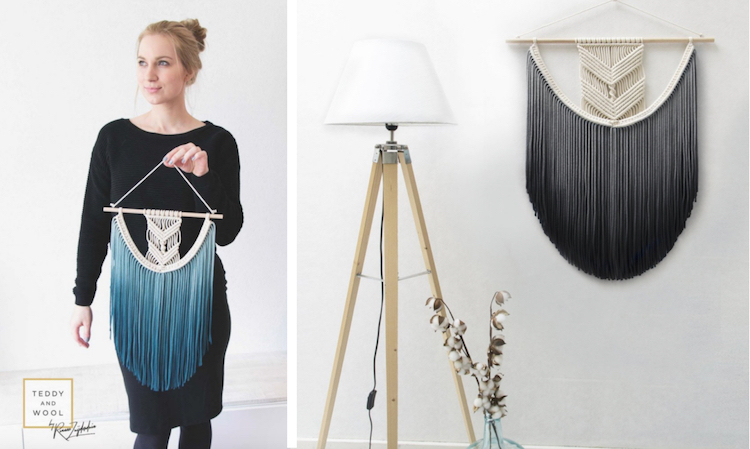 No matter which model you choose, each EVA macrame wall hanging is sure to turn any space into a modern work of art. You can find this stunning centerpiece in the My Modern Met Store. 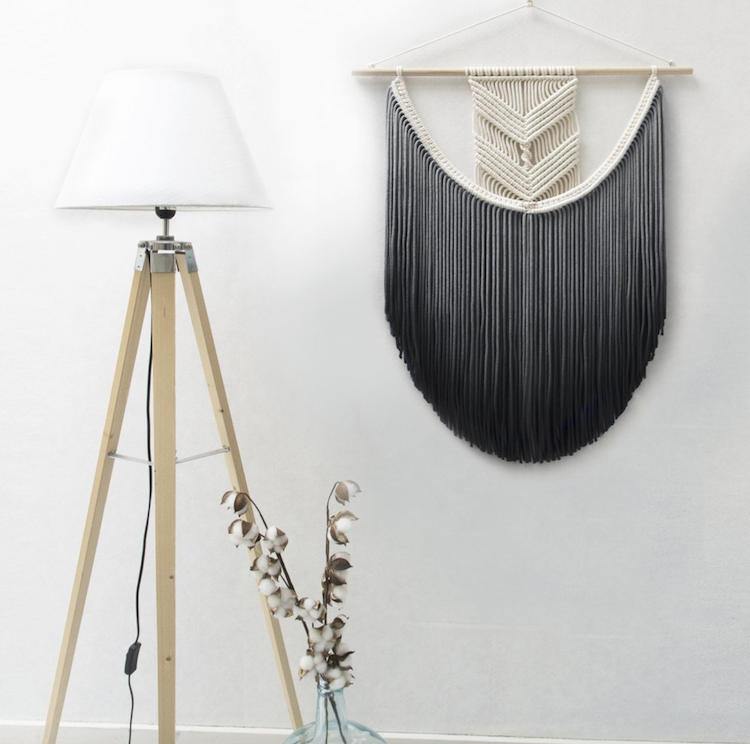 The post Modern Macrame Wall Hangings Put a Stylish Twist on the Classic Craft appeared first on My Modern Met.